It’s Mother’s Day, and in my part of the world, it’s the day when every homeowner is given the nod to go ahead and start planting. In honor of the day, I thought I would make some Hydrangea babies that would make any mother — including the mother plant — proud. 1. 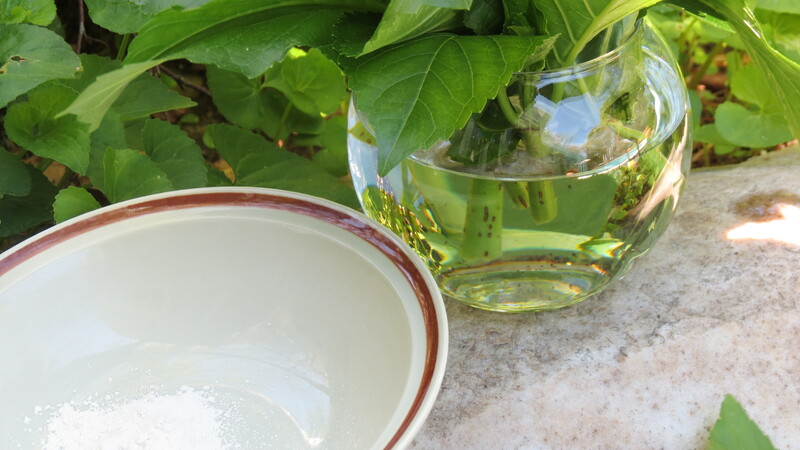 In addition to a mother plant, you’ll need the following items (left to right): a dish with rooting powder, clippers, water, sandy soil, and a stick of some sort. 2. You’ll next have to select what parts of the mother plant you’d like to root. Tender green stems, preferably ones that are not ending in a bloom, work best. 3. 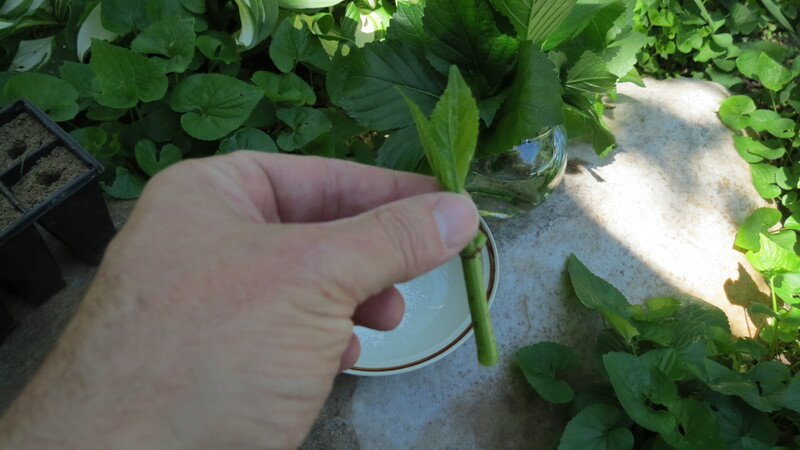 Once cut, immediately place the stem in water. 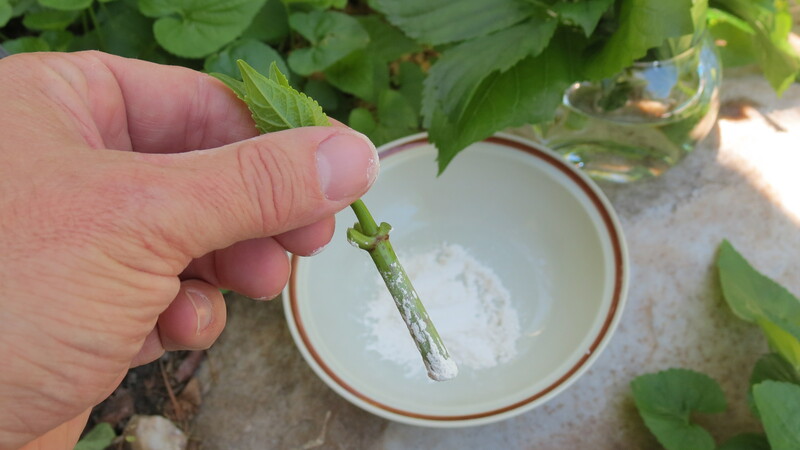 You can continue collecting stems for rooting — but always place them in water right away. 4. At this point, get the root starting cells ready. Sandy soil tends to work best because it’s not heavy, which is easier for developing roots. Use a stick (a chopstick or a pencil works great) to make a hole where the stem will be inserted. 5. 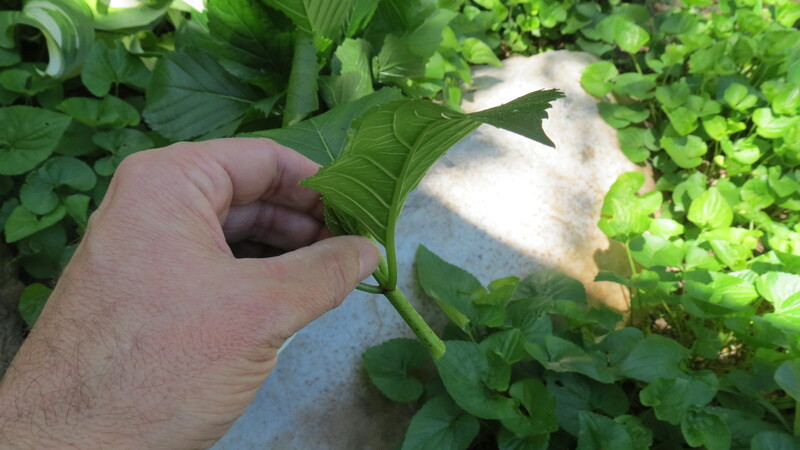 Remove a stem from the water and trim off the larger leaves. 6. You will be left with something that looks like this. 7. Dredge the cutting, which is still damp with water, in the rooting hormone. 8. The rooting hormone should stick nicely because of the water. Make sure that the stem is as covered as possible. 9. 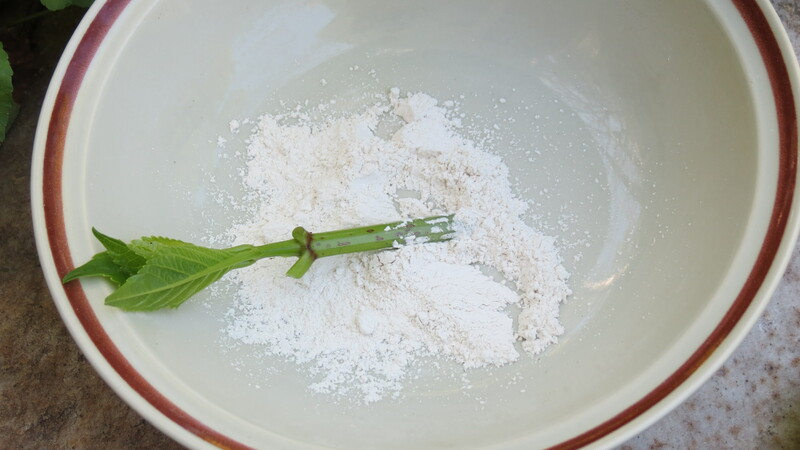 Place the stem into the prepared soil, being very careful not to brush off the rooting hormone as you insert the stem into the hole. Once placed, gently tamp down the soil. 10. 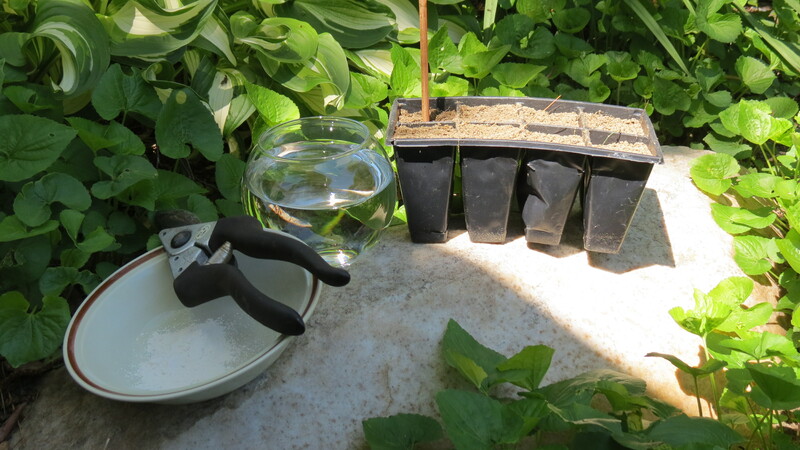 When all of your stems are planted, water them in and leave them in a sheltered location. I usually keep them along the back of the house, sheltered by the eave. Hydrangeas are fine with shade, but it’s important to protect these babies as best as you can — you know, like a good mother. In a few weeks, you should be able to see which of your transplants has survived. 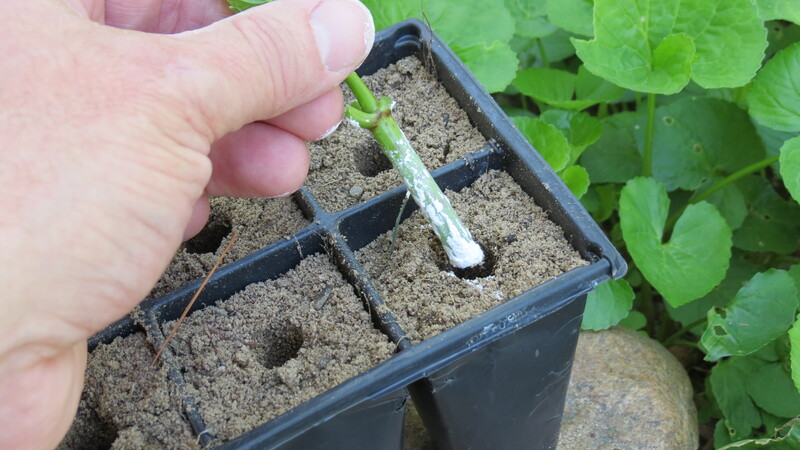 When roots have developed, the baby Hydrangeas can be potted up. 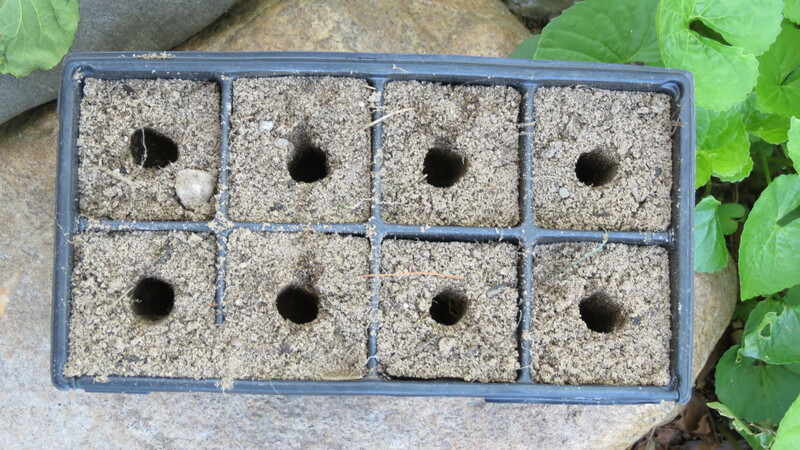 They may even be ready for planting, in a somewhat sheltered area, by fall so they can overwinter. In the spring, you’ll be able to transplant them to a permanent location or re-pot them to giveaway as, well, Mother’s Day gifts. And on that note, I’d like to wish you a Happy Mother’s Day! Excellent lesson. It’s clear you know how to teach. Thanks. So glad you mentioned getting a cutting NOT ending in a bloom…I learned the hard way….I do exactly the way you do and have an almost 100% rooting rate! I share my cuttings and everyone is thrilled! Love your teaching method! Great tutorial! Makes me think even I could do this! 🙂 In fact, I just may give it a try. Now, where could I put more hydrangeas…..
You can certainly do this! It’s actually very easy — and the results are very positive. Besides, there’s always room for a hydrangea. I’ve even used the same technique with boxwood. I’ve never tried a rose, though. Hmmmmm. Wonderful tips Kevin. Thanks for the posting. 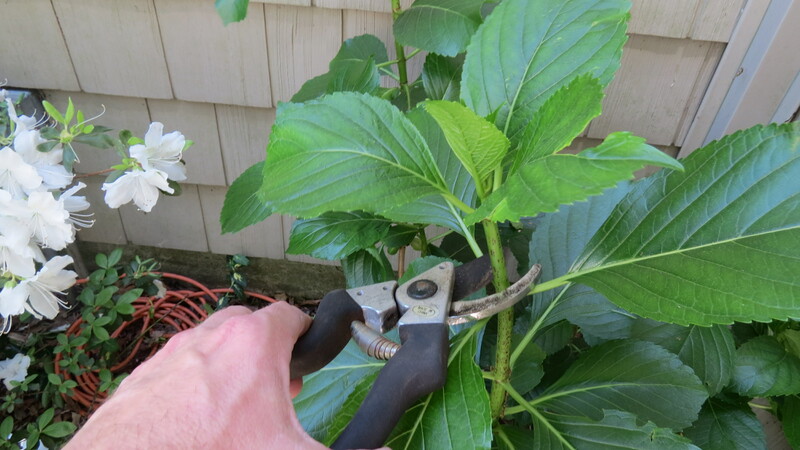 What wonderful step-by-step directions for rooting Hydrangeas – they are one of my favorite plants! Wish mine were ready, but they still need a week or two 😦 so thank you for sharing your green hydrangea with us! Hi Kelly. Yes, I also use Rootone — probably should have mentioned that. Oops. I’ve used the same technique with boxwoods and the results have been just as positive. I really enjoy the challenge of propagation — very cool stuff. So, does this make you the ‘baby daddy’? As informative as this photo-tutorial is makes it also inspirational and empowering. Great work! Thanks for this info. We planted one a couple of years ago that is now thriving. Would love to start a couple more. Hi Darrell. Great! I hope you have success — and Happy Mother’s Day! well… I just did it 🙂 ahhhhhhhhhh I’m excited! Congratulations, Darrell! Now that you’ve had success, you won’t be able to stop yourself. The same technique works with euonymous, as well. Thanks for the update and nice work.